The Children's Union Football Bed is a unique product to a collection that is built for kids in mind. The bed frame has a unique and novel printed design to the exterior of the frame that kids will truly love. With excellent sturdy build quality and its low centre of gravity, this bed is strong yet stylish to fit the room around it. 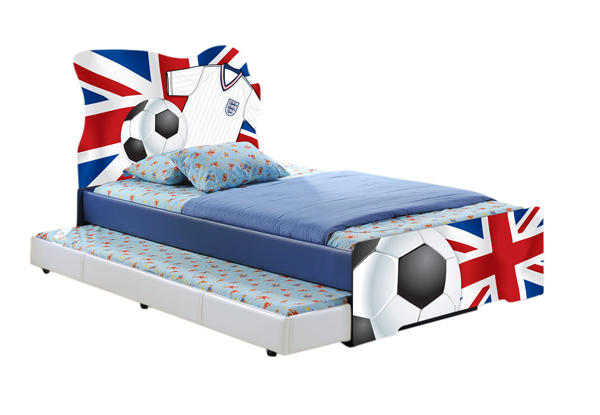 The Union Bed is a slick cool football and Britain theme offset on soft blue PU leather make this bed a must have.